Therapeutic Massage uses many techniques to improve body function, health, and reduce stress. Many folks suffer from daily stress and fatigue. Too often, the wear and tear on the body becomes routine. As a result, our bodies become anesthetized. The body is a structure which not only houses our muscular and skeletal systems, but also our mind and soul. Trauma and physical strain can make that structure weak and unsound. There is a healthier way! Through massage, the foundation of the body structure can be repaired and strengthened with the tools of a skilled therapist. ​What can Massage Therapy do for you? Melissa (Missy) Kidd, LMT , Naturopath, DoTerra Essential Oil "Wellness Advocate". She is licensed through the Kentucky and the Ohio Medical Board. She incorporates a confidence and grace into her therapeutic touch which stems from over 29 years experience. She specializes in Sweedish massage. She is trained in many techniques from Relaxing massage to Deep Tissue therapy and Lymphedema treatments, all of which help significantly reduce stress, increase mobility, and bring a sense of ease into the physical and emotional body. 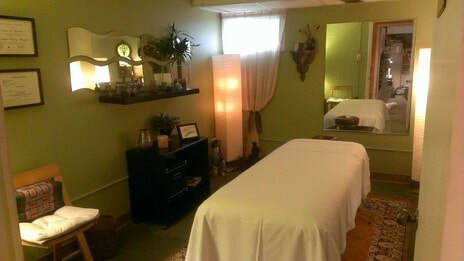 Along with her massage techniques she also incorporates Essential Oils into her treatments to further the healing of the body and mind.